Scaramucci called Lizza because the reporter tweeted that the newly-minted White House staffer reported Priebus to the FBI for leaking his financial disclose. Last night, details of Scaramucci’s financial disclosure leaked, outlining his investments and ownership stakes in his former hedge fund SkyBridge and Chinese conglomerate HNA Group. The incoming White House communications director earned $4.9 million from his ownership stake in SkyBridge in addition to more than $5 million in salary between Jan. 1, 2016, and the end of June, when he joined the Export-Import Bank, according to a financial disclosure filed with the Office of Government Ethics. The disclosure form hasn’t been previously reported. The SkyBridge website continues to advertise Scaramucci as the firm’s managing director, despite the fact that he has been a government employee for more than a month. 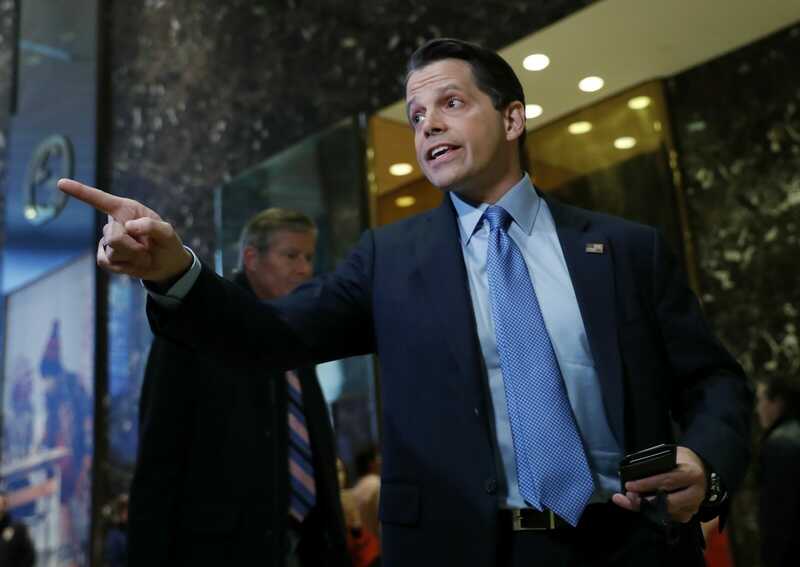 A SkyBridge spokeswoman said Scaramucci stepped down from the executive post Jan. 17, when the company’s sale was announced. He remained an employee of the firm, collecting a salary, until starting at Ex-Im last month.